From just about anywhere in Florida state you can reach some of the best snorkeling and scuba diving spots in the country. Just look at the map of Florida, and you’ll understand why this part of the country is famous for its magnificent marine life. 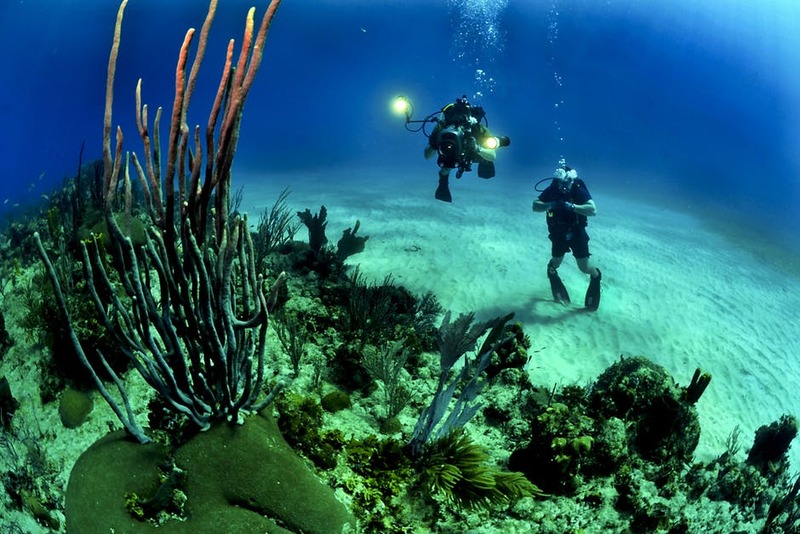 If you are a passionate scuba diver or snorkeler and you’re planning on visiting Florida, be prepared to dive at any spot starting from the north of the state to the Keys, and anywhere in between. Check this scuba diving and snorkeling round trip in The Sunshine State. Let’s get started! Dry Tortuga National Park offers some of the best snorkeling spots in America, and that’s a fact. The shallow waters, which are full of several varieties of tropical fish, starfish, and colorful corals, are perfect for beginners who are still unsure about jumping into deeper waters. The Windjammer wreck excursion is would be a great addition to your snorkeling adventure – it’s an awesome place to see thousands of tropical fish and spiny lobsters. 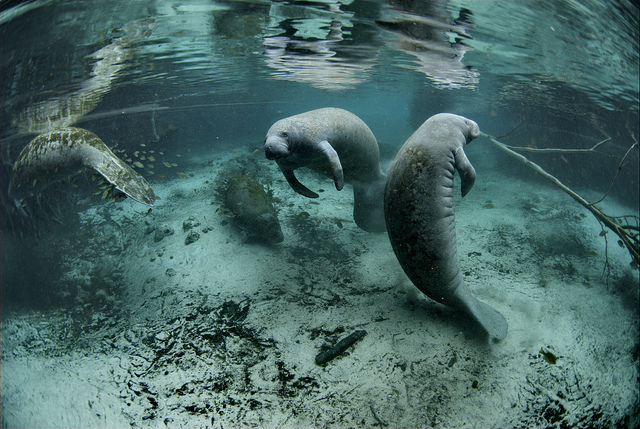 From November to April, the area is a manatee heaven as they come in herds to enjoy the warm waters. Manatees are an endangered species. They reach an average size of 10 feet in length and weigh around 1,000 pounds. For all wildlife lovers this is the best snorkeling site in Florida. Be aware, though, that chasing and harassing these amazing animals is strictly forbidden. Freshwater hot springs from the bottom of the river are not the only thing that entices the snorkelers. Snapper, redfish and big-mouth brass are also part of the unique Crystal River experience. Devil’s Den is a sinkhole close to the small town of Williston, Florida. There was a belief among the early settlers that the cave is a part of hell because of the steam coming off the hot water during the winter months. Divers and snorkelers from all around the country enter through the top window of the cave to enjoy the waters 60 feet below the entrance. The walls on the inside of Devil’s Den Cave are covered in ferns, giving the whole place a magical vibe. 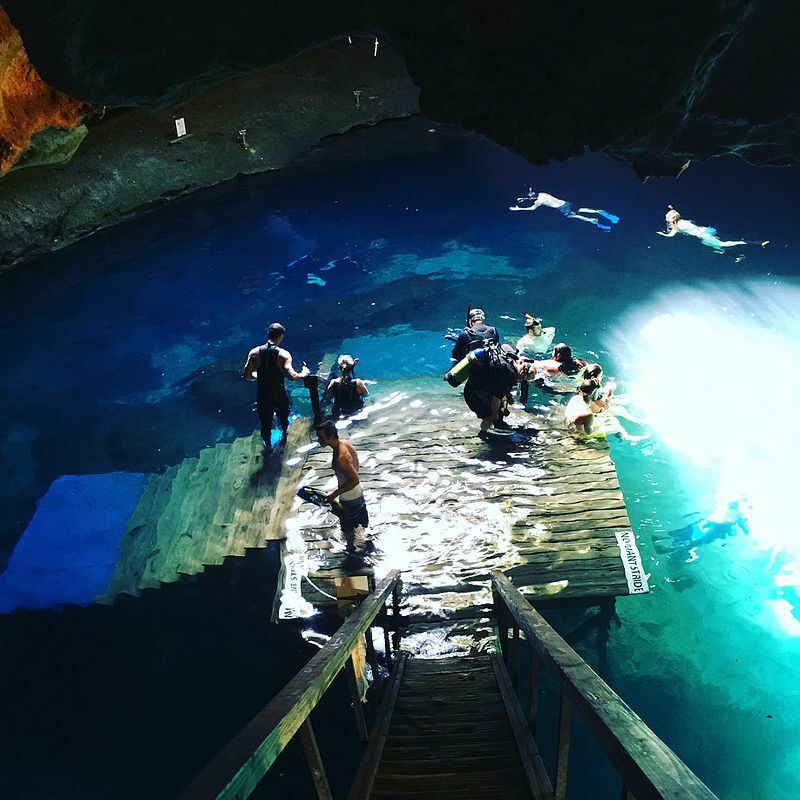 Since the early 1990s, the cave has been open to the public as a dive site with four underwater passages extending from the main pool. West Palm Beach’s waters are blessed with excellent visibility, colorful corals, and perfect marine conditions for breeding. Drifting above the spectacular coral reefs will give you an impression of visiting an underwater zoo. 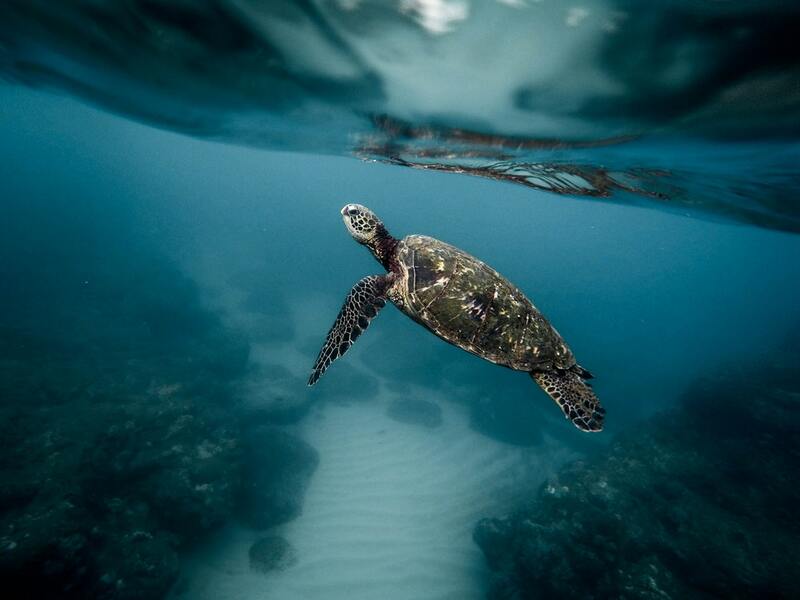 Between the countless clouds of fish, divers can interact with sea turtles, and observe their behavior. Remember, if you decide to dive or snorkel in the waters of West Palm Beach you may see sharks and sailfish, too. Don’t panic if you see whales as well because these waters are on their migratory path. If you’re planning an unforgettable adventure for your family, but have no idea where to go, get ready for this stunning destination. 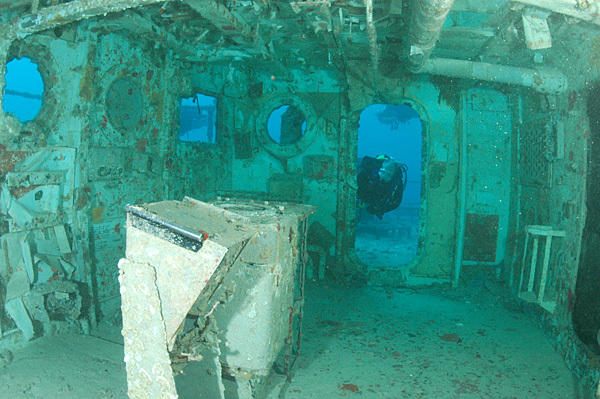 Key Largo is a well-known place for diving between big wrecks such as the 510-foot Spiegel Grove at the Florida Keys National Marine Sanctuary, and the former coast guard cutters Bibb and Duane. Get ready to swim alongside barracudas and ocean jacks that live in and around the shipwrecks. Many people grade this place as the best scuba diving site in Florida, and if you go there, you’ll see why. Depending on what you want to see underwater and how prepared you are, choose one of these spectacular scuba diving and snorkel places in Florida and have a great adventure. Stay safe and good luck!